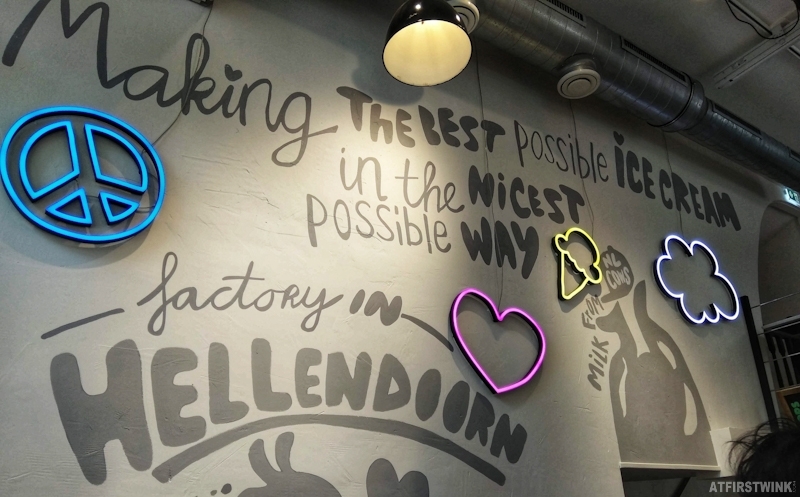 Today, I was able to get a free scoop of ice cream at the Ben & Jerry's scoop shop in Rotterdam. 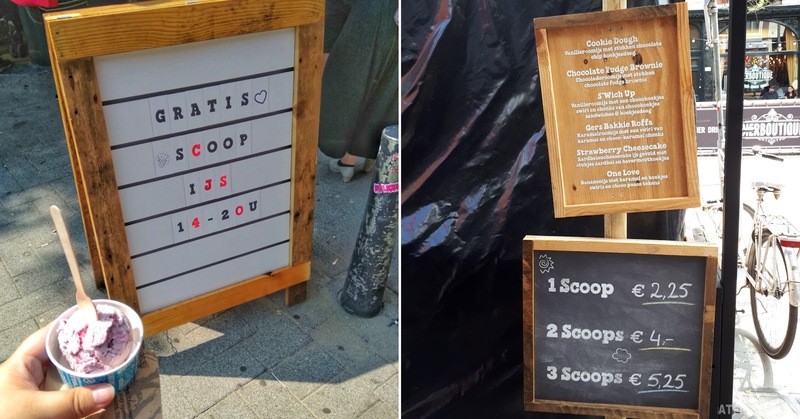 They are giving out free ice cream today from 14:00 - 20:00. They opened last friday and it is the first Ben & Jerry's scoop shop in Rotterdam. 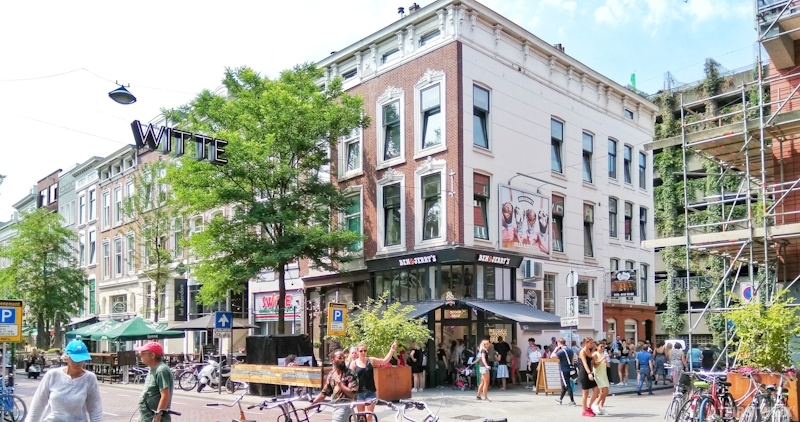 It is on the Witte de Withstraat 39 and it is in the middle of Rotterdam city centre. I walked from Beurs metrostation to the Mediamarkt store and turned left at the KFC restaurant. From there, you keep walking straight and turn to the right at the first opportunity. You should see the ice cream shop right away. When I went, it wasn't that crowded (about 6 people in front of me) and I only waited a few minutes. The Ben & Jerry's scoop store isn't that big. There is only a couple of tables on the floor above (closed off on that day) and some wooden benches outside. 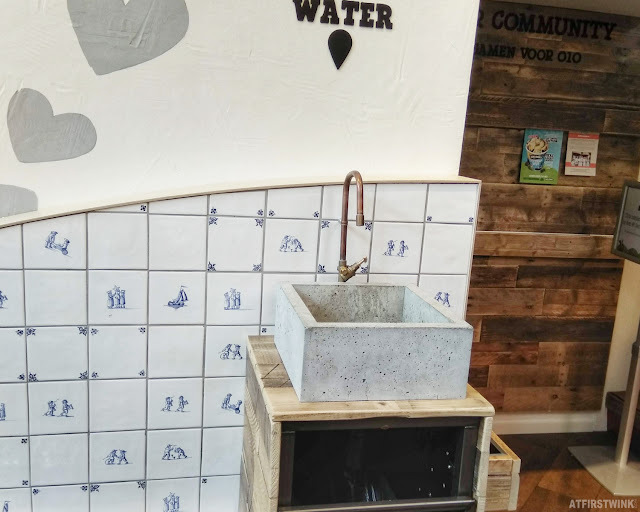 I like the cute wall with neon lights and the sink with running water where you can wash your ice cream stained face, hands, and clothes. I especially came by to get a scoop of the Cherry Garcia flavor, which isn't available in the supermarkets anymore. It is a cherry ice cream flavor with large and crispy, rectangular chunks of dark chocolate. It is as good as I remembered it. Besides Cherry Garcia, you can also choose for one of the other 15 different flavors: Chocolate Fudge Brownie (non-dairy), Chunky Monkey (non-dairy), Peanut Butter & Cookies (non-dairy), Birthday Cake, Chocolate Fudge Brownie, Cookie Dough, One Love, One Sweet World, Peanut Butter Cup, Vanilla Pecan Blondie, Cookie Dough S'witch Up, Strawberry Cheesecake, Vanilla, Hooked on You, and Gers Bakkie Roffa. I think that €2.25 per scoop of ice cream is a bit expensive (even for my favorite Cherry Garcia flavor). 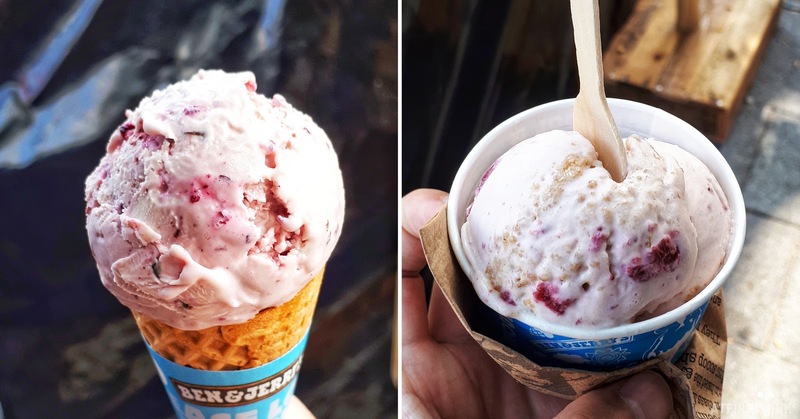 Real Ben and Jerry's fans naturally get a pint of their favorite flavor at the supermarket and scoop it up by theirselves for a more reasonable price, but new fans to be can take this opportuniy to try a scoop instead of investing in a whole pint of ice cream in a flavor that they might not like. 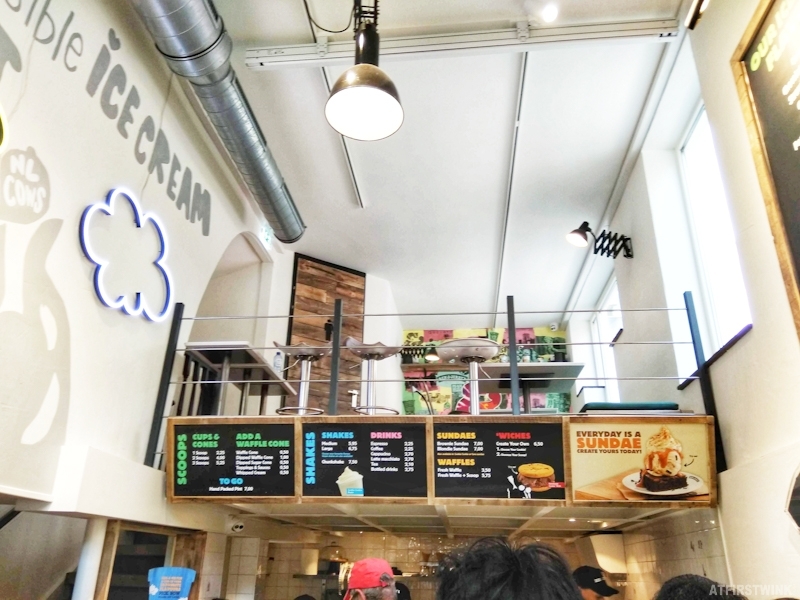 People can also go there to taste an ice cream flavor that they cannot find in their local supermarket and have Ben & Jerry's ice cream in a whole different setting than only at home. Besides ice cream in a cup or cone, you can also have them in a milkshake, as a sundae, on a waffle, or between two cookies ('wiches). 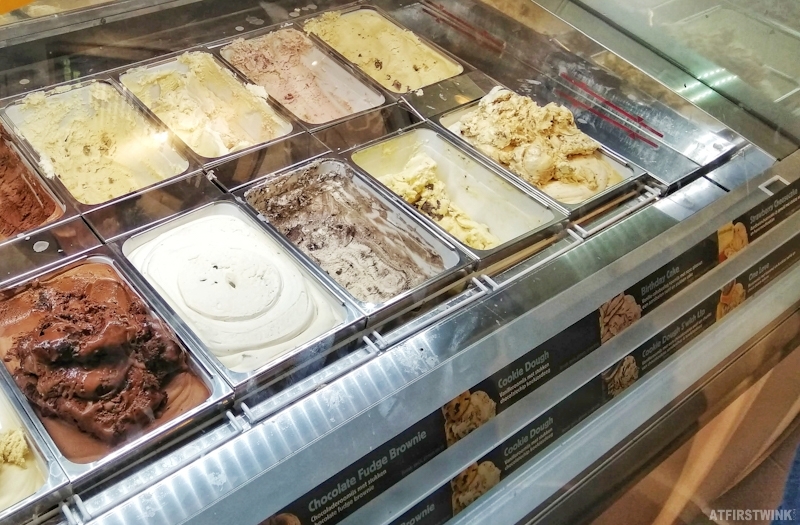 You can also get a pint (€7) and fill it with the flavors that you want. This is especially convenient for single people with a small freezer. 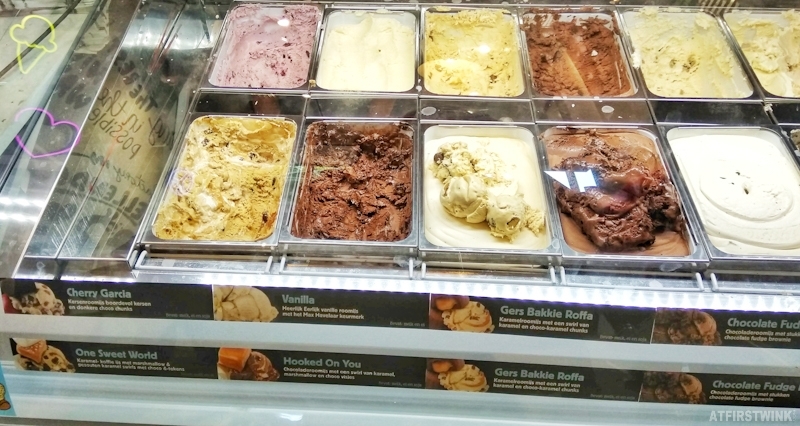 You can have as many different ice cream flavors as you want to choose from in one pint.